The Loyal Subjects presents a San Diego Toys”R”Us SDCC 2016 exclusive featuring Wreckage and Beach Head from G.I. 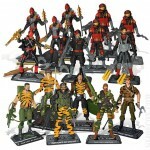 Joe’s Tiger Force! 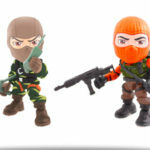 Packaged in a windowbox, these 3-inch Action Vinyls boast 14 points of articulation and include several accessories. Check out all the G.I. 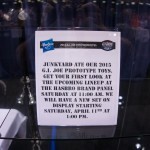 Joe SDCC 2016 box set images after the jump. Assigned to the Tiger Force special operations unit, Wreckage quickly adapts to whatever environment he is dropped into. He uses a wide variety of explosives to eliminate impediments to the team and is skilled in charged, fuse, remote, launched or times munitions. It is his mastery and use of the Special Operations Forces Demolition Kit (SOFKD) that allows him to tailor demolition charges for maximum effect with minimal carry weight. Check out HISSTANK.com’s photo shoot for the JoeCon 2015 Tiger Force Wreckage after the jump. **A 1988 Hasbro Sales catalog showcased a re-deco of the 1984 Firefly action figure in Tiger Force colors. It was later released in 2003 as part of a Toys “R” Us exclusive: Tiger Force five-pack and now this design is part of the 2015 GIJoeCon Box set! The Club has come out of the gate swinging! 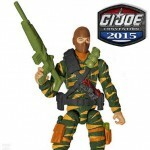 Are you excited for other reveals JoeCon 2015 Exclusive Tiger Force box set? Sound off on the Hisstank.com forums!